And now, after many, many moons…… IT’S HERE!!!! And now the moment you were all waiting for, the moment that you, my precious and patient readers have been told about for a good long while. The moment that has taken many days, many hours, and many fatigued fingers worn away by typing, editing, re-editing, RE-RE-editing, and buffalo wings (gotta eat sometime!). 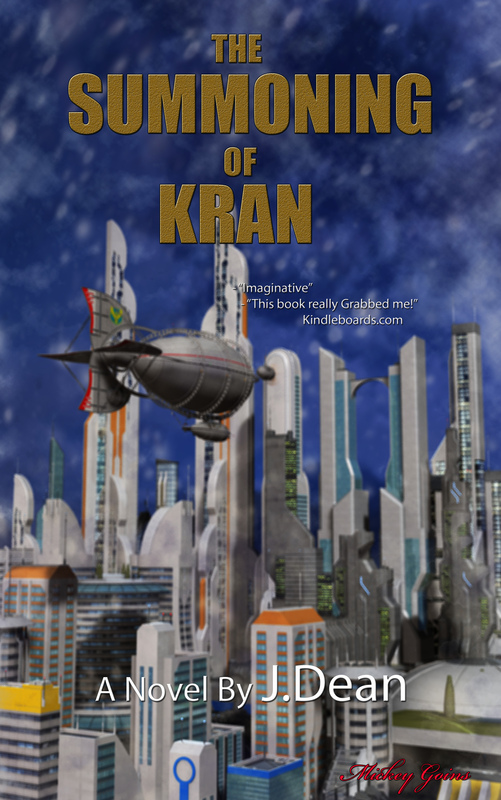 After all this time, I proudly present to you The Summoning of Kran: The Third Descent Into the Vein!!!! Now available HERE on Amazon.com, and HERE on smashwords.com. The barnes and noble link is not yet available, but if you own a nook you can still utilize the Smashwords website for the book. A special thanks goes out to Mickey Goins, an associate of mine from the Tombs of Kobol website, who helped me out in a pinch to get this going. He did a heck of a job, and has my eternal gratitude… and his choice of liquid refreshment should the opportunity for the two of us to meet face-to-face ever come about 🙂 Thanks again, Mickey. So to my readers out there, no more waiting!! Get on out there and get your copy! Let’s continue on with the adventures in the Vein! I hope you enjoy this long labor of love I have undertaken. Let me know what you think!!! I am now proud to announce that Surrealities II is now available on Smashwords.com for 99 cents! This is the second installment in the Surrealities series, which is a nod to the influence of serial shows such as The Outer Limits, The Twilight Zone, Inner Sanctum, and other similar programs. This particular installment ventures into the realm of science fiction, with a pair of stories that touch upon the wondrous as well as the terrifying. I hope you enjoy it! So here I was thinking that my routine would slow down after fall began, and that getting updates and books out would be easier for me to do. On a better note, you can expect Surrealities part 2 to be released next week–no, seriously! It WILL be out! (I heard that snicker in the back of the room). I had a little… shall we say, “trouble”… with getting it prepped (If I told you the story, you wouldn’t believe me). But it will be ready for public consumption definitely by next week. And The Summoning of Kran will also be ready soon as well. I’m waiting on some final alterations to the cover, and that will FINALLY be out (Boy, this whole “getting-your-book-out-in-a-timely-manner” thing is harder than I thought. You’d think I was neurotic about it or something… 😉 ). Plus, my re-release of The Summoning of Clade Josso with its new cover will also be ready soon, so this is going to be a very productive fall for me (unlike my beloved Michigan Wolverines; anybody here know a good coaching staff?). So hang in there, and keep reading. Let me know your questions, comments, thoughts, tailgating recipes, etc. at any time! And if you like what you’ve read from me (as a few have expressed), tell others about the books!